Luckily, you have additional options other than calling every carrier, BestBuy, Target, or Walmart store within a 100 mile radius. Â There is a website that has been around for a few years called iStockNowÂ that allows you to see in real-time the iPhones inventory in every Apple Store around the world. Â Â Unfortunately, though, this process is limited to Apple retail stores, which makes it a little harder for the living in rural America. Â However, if you’re willing to drive, it might be worth it for you. Â Either way, iStockNowÂ is a great starting point to check inventory that is constantly being updated. Customers have a couple ofÂ different option to beginÂ checking the inventory of their choice of Apple Stores. 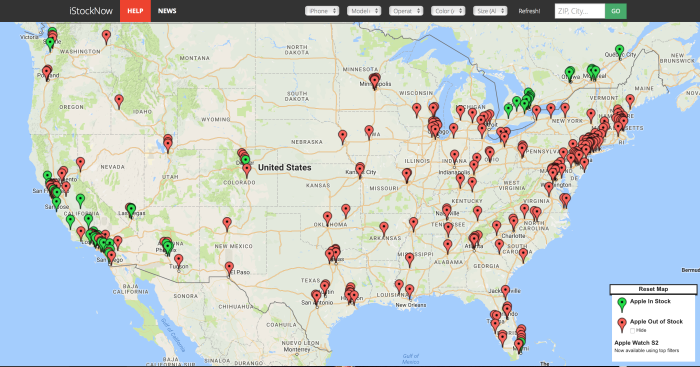 Â Upon launching the site you will immediately see a collection of red and/or green pins littered across the US, or your country of residence, that indicate an inventory status. Â Green means they have inventory of iPhone 7 or 7 Plus at the store the pin falls on. 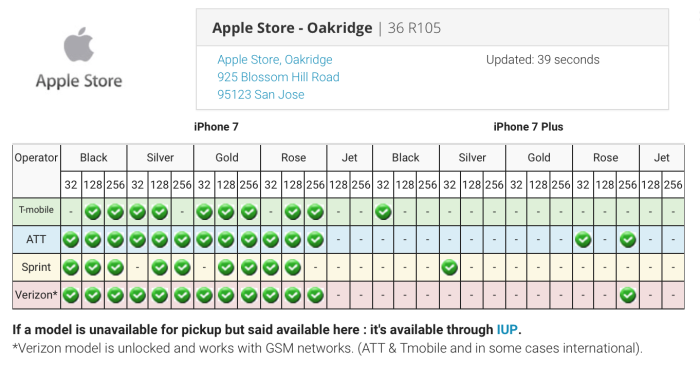 Â You can click on the pin to see which phones, colors and storage options are available. Â Clicking on a red pin will produce an empty chart/graph. Additionally, you can also narrow your search choices by selecting if you want anÂ iPhone 7 or 7 Plus, (or even an Apple Watch) your carrier of choice, color and storage options. Â Furthermore, you can also search by zip code, city or even state. Â Inventory on the site is constantly updated, but you can also initiate a refresh from the top of the page as well. 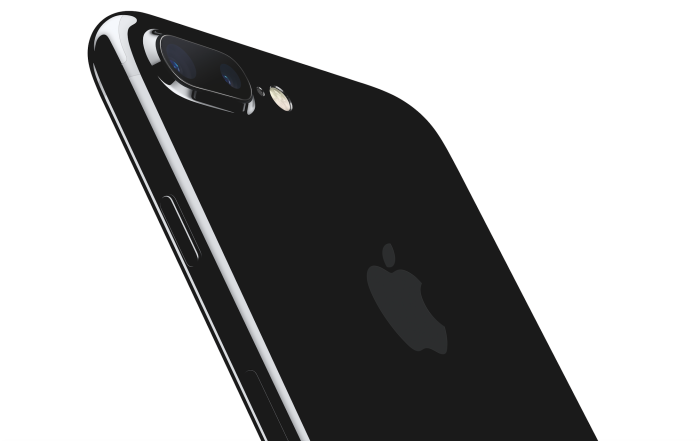 Good luck, and happy iPhone 7 Â hunting!